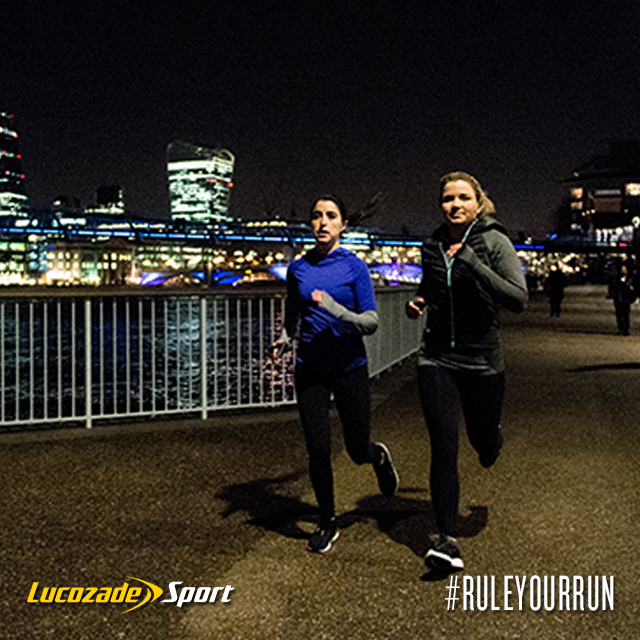 With just days to go until the Virgin London Marathon Dr Adrian Hodgson, Senior Sport Scientist at Lucozade Sport, has given his best tips for runners to be at their very best come the day of the race. Running a marathon is one of the most satisfying accomplishments you can achieve. All the hard work will have been undertaken in the weeks and months before the event but there are some things that can give you an edge for the main event. 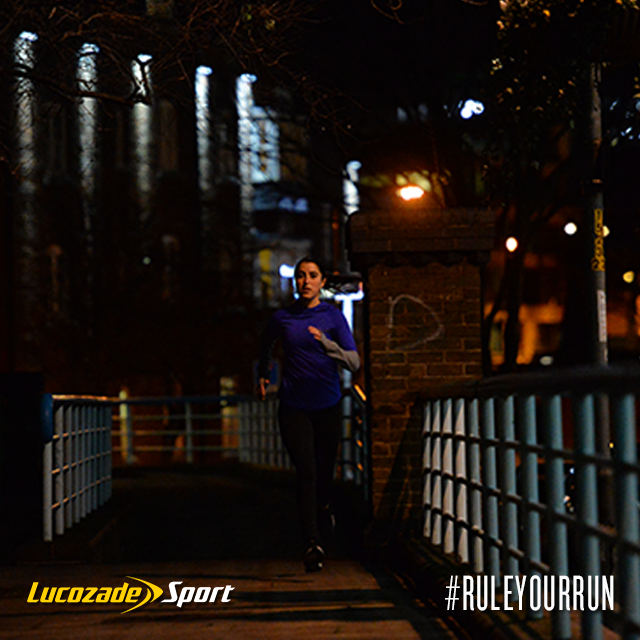 Here are my top ten tips in a step-by-step guide to ensure that you rule your race day. As we have mentioned, our bodies are like cars – they can’t run on empty. The stores of carbohydrate in our body can deplete during the race. The aim is aim to consume some carbohydrate during the race to avoid the onset of fatigue. One size does not fit all. Faster runners may need more carbohydrate during the race, while slower runners may need less. Aim to consume between 30g-60g of carbohydrate per hour. This is equivalent to 1-2 Lucozade Sports each hour of the race. During the race drink little and often to avoid dehydration and ensure carbohydrate is being consumed. Avoid drinking large volumes of fluid in one go, this can be a bad thing. You don’t want to get a stitch. Once you cross the line it is recommended to recover. Consuming carbohydrates and electrolytes in the hours after exercise will ensure rehydration and replace those depleted carbohydrate stores. 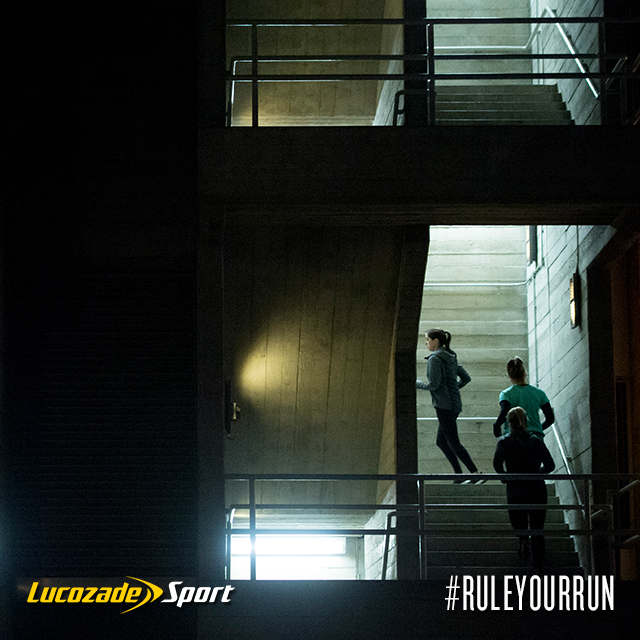 Grab a Lucozade Sport to help achieve this. Drinking little and often after the race is recommended. Following these rules come race day will help you be at your best to rule your run. Good luck and make sure you follow the most important rule of all – enjoy it! 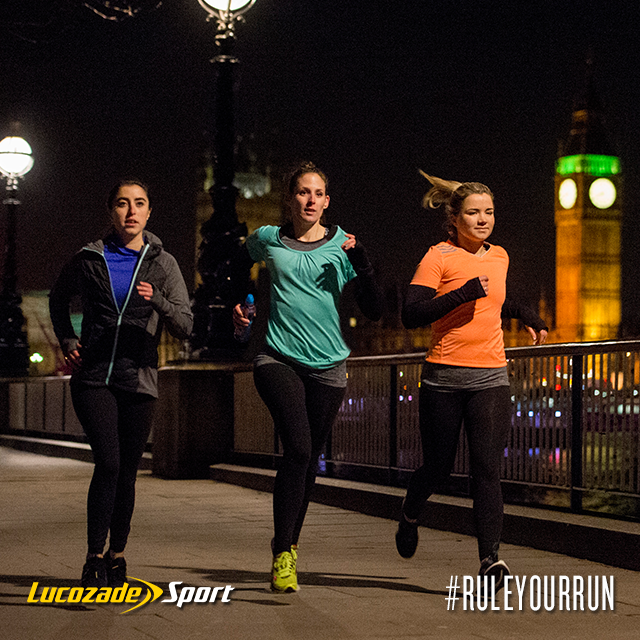 Do you have any top tips for marathon race day? Let us know in the comments section below or on our Twitter and Facebook pages.